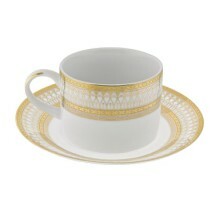 The Iriana Gold Dinnerware collection from Ten Strawberry Street features an intricate gold pattern along a bold white rim to create a beautiful and unique formal dining set. 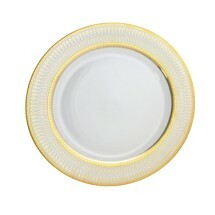 Perfect for your finest occasions, use this dinnerware at banquets, wedding receptions and for five star hotels and restaurants. 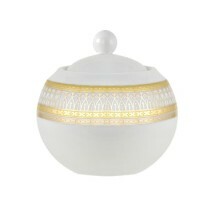 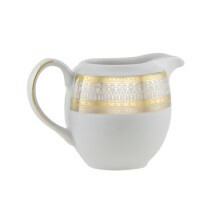 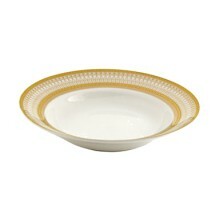 Iriana gold is made of porcelain and is dishwasher safe.